Our growing company is seeking a highly skilled Porcelain Ceramist with over 10+ years-experience focusing on anterior and full mouth cases. The right candidate should be able to achieve high end esthetic anterior restorations by having knowledge of full mouth combo implant rehabilitation and occlusion concepts. LSK121 offers excellent compensation and benefits package for full-time employees. Benefits include medical, dental, vision, life insurance and 401k plan, as well as, paid vacation, sick days, and holidays. Salary is commensurate with experience. 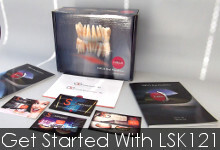 LSK121 Oral Prosthetics is a full-service, state of the art all-inclusive dental manufacturer in Naperville, IL. We are at the forefront of new dental developments, constantly evolving and refining our practices. Performing a wide variety of lab services enables us to provide knowledgeable solutions to the most unique of cosmetic and dental reconstruction needs.